Long-term renewable energy sector expert Michael Eckhart talks with Michael Brush about why we will soon see a “tsunami” of renewable energy stock initial public offerings, and what you need to know to pick the winners. Mr. Eckhart, President of the American Council on Renewable Energy, brings a unique level of passion and perspective to any discussion on the space because he has been following the sector for over 25 years. A former Manager of Strategic Planning for the Power Systems Sector of General Electric, Mr. Eckhart holds an undergraduate degree in electrical engineering, and he has an MBA from Harvard Business School. Disclaimer: Our sites do not make recommendations. Nothing on our sites should be construed as an offer or solicitation to buy or sell products or securities. We attempt to research thoroughly, but we offer no guarantees as to the accuracy of information presented. All Information relating to featured companies is sourced from public documents and/ or the company and is not the opinion of our web sites. This site is currently compensated by featured companies, news submissions and online advertising. Featured Green Companies are showcased on: www.Renewableenergystocks.com. a leading investor news and research portal for the renewable energy sector within Investorideas.com, is pleased to participate as a sponsor of the upcoming Ludlow Clean Tech Investor Conference to be held in New York, July 24, 2008. The conference wil provide public and private companies in the green sector an opportunity to present to an institutional audience. Ludlow Energy Ventures, in conjunction with RenewableEnergyStocks.com, is bringing together institutional and accredited investors from Wall Street to focus in on the alternative and renewable energy investment sector. The conferences will consist of company presentations, discussion workshops, and private diners and cocktail receptions on Wall Street. NEW YORK, June 26, 2008 - The NASDAQ OMX Group,Inc. (Nasdaq:NDAQ) and Clean Edge, Inc. announced today theintroduction of the NASDAQ OMX(r) Clean Edge(r) Global Wind EnergyIndex(sm) (Nasdaq:QWND), a new benchmark for the global wind energysector. The NASDAQ OMX(r) Clean Edge(r) Global Wind Energy Index is amodified market-capitalization index and includes companies that areprimarily manufacturers, developers, distributors, installers, andusers of energy derived from wind sources. "Wind energy is one of the world's fastest growing energy industriesand the launch of this index brings more focus and definition to thisimportant source of clean energy," said NASDAQ OMX Executive VicePresident John Jacobs. "This index is also a valuable addition toNASDAQ OMX's current offering of environmental sustainabilityindexes. ""Wind energy was a $30 billion global industry in 2007 and isprojected to continue growing in the years ahead," said Ron Pernick,Clean Edge Co-founder and Managing Director. "This benchmark enablesinvestors to track the Performance of pure-play and multinationalcompanies that are key drivers of this rapidly expanding industry. "Invesco PowerShares Capital management LLC, a leading provider ofexchange-traded funds (ETFs), will develop an ETF based on the NASDAQOMX(r) Clean Edge(r) Global Wind Energy Index and list the etf on theNASDAQ Stock Market. "We believe the PowerShares Global Wind Energy Portfolio(Nasdaq:PWND) will represent a lower cost way for investors to accessthis key alternative-energy market with the structural benefits of anETF," said Bruce Bond, President and CEO of Invesco PowerShares.For more information about PowerShares ETFs, visitwww.invescopowershares.com/products/.The NASDAQ OMX(r) Clean Edge(r) Global Wind Energy Index iscalculated in real-time across the combined exchanges and isdisseminated by NASDAQ OMX in U.S. Dollars. The Index commencedcalculation today with a value of 250.00.The NASDAQ OMX(r) Clean Edge(r) Global Wind Energy Index is currentlycomprised of companies that are screened by Clean Edge and thecomponents are divided into two categories; pure play securities andmultinational corporation securities. To view the companies in theNASDAQ OMX(r) Clean Edge(r) Global Wind Energy Index, visit ourwebsite www.nasdaq.com/indexes. About NASDAQ OMXThe NASDAQ OMX Group, Inc. is the world's broadest and most diverseexchange company. It delivers trading, exchange technology, andpublic company services across six continents, and with over 3,900companies, it is number one in worldwide listings among majormarkets. NASDAQ OMX offers multiple capital raising solutions tocompanies around the globe, including its U.S. listings market; theOMX Nordic Exchange, including First North; and the 144A PORTALMarket. The company offers Trading across multiple asset classesincluding equities, derivatives, debt, commodities, structuredproducts, and ETFs. NASDAQ OMX technology supports the operations ofover 60 exchanges, clearing organizations and central securitiesdepositories in more than 50 countries. OMX Nordic Exchange is not alegal entity but describes the common offering from Nasdaq OMXexchanges in Helsinki, Copenhagen, Stockholm, Iceland, Tallinn, Riga,and Vilnius. For more information about NASDAQ OMX, visitwww.nasdaqomx.com.About Clean EdgeClean Edge, Inc., with offices in the San Francisco Bay Area andPortland, Ore., is a leading research and publishing firm that helpscompanies, investors, and policymakers understand and profit fromclean technologies. Founded in 2000, Clean Edge and its network ofpartners and affiliates offer unparalleled intelligence and insightinto the clean-tech sector. Among its many activities, the companypublishes the annual "Clean Energy Trends" report, produces theannual Clean-Tech Investor Summit (along with IBF), and maintains anumber of clean-energy stock indexes. To keep abreast of the latestclean-tech news, access industry reports, learn more about thecompany's annual summit and stock indexes, or sign up for CleanEdge's free e-newsletter, visit www.cleanedge.com. CONTACT: NASDAQ OMXMedia Contact:Wayne Lee+301.978.4875Wayne.D.Lee@NASDAQOMX.comIssuer & Investor Contact:Lisa Chaney+301.978.8281Lisa.Chaney@NASDAQOMX.comClean Edge, Inc.Ron Pernick+503.493.8681pernick@cleanedge.com. LONDON--June 25 2008--zouk today announces the launch of zouk Solar Opportunities Limited (“zSOL”), a closed-ended investment company. zSOL will be managed by zouk and will develop and own a portfolio of solar power projects in Europe, the Middle East and Asia. zSOL will provide investment equity in a diversified portfolio of solar projects in areas where optimal conditions, regulatory support and tariff structures create a suitable investment profile. zSOL will target projects in their development phase that utilize proven solar technologies with an initial focus on solar photovoltaic plants. zSOL has already identified a pipeline of suitable projects and is looking to build approximately 40MW within the next 12 months. Founded in 1999, zouk is a London based investment manager focusing on Cleantech as well as renewable and environmental infrastructure. zouk currently manages two technology funds and invests in solar infrastructure projects through zouk Solar Opportunities Limited. zouk Solar Opportunities Limited (“zSOL”) is a €52m closed-ended investment company managed by zouk. The main role of zSOL is origination, development and ownership of solar infrastructure projects. zSOL will build approximately 40MW within the next 12 months and will target projects in their development phase in Europe, the Middle East and Asia. ALISO VIEJO, Calif., June 26, 2008 - XsunX, Inc. (OTCBB: XSNX), a solar technology Company engaged in the build-out of its multi-megawatt thin film photovoltaic (TFPV) solar manufacturing facilities, announced today that the manufacturing facility in Portland, Oregon is ready for inspection. The current tenants notified XsunX that demolition is ahead of schedule by 3 weeks and a walk through is scheduled for the week of July 7th. XsunX will as a result take possession of the manufacturing facility at least 2 weeks ahead of schedule. Safe Harbor Statement: Matters discussed in this press release contain forward-looking statements within the meaning of the Private Securities Litigation Reform Act of 1995. When used in this press release, the words "anticipate," "believe," "estimate," "may," "intend," "expect" and similar expressions identify such forward-looking statements. Actual results, performance or achievements could differ materially from those contemplated, expressed or implied by the forward-looking statements contained herein. These forward-looking statements are based largely on the expectations of the Company and are subject to a number of risks and uncertainties. These include, but are not limited to, risks and uncertainties associated with: the impact of economic, competitive and other factors affecting the Company and its operations, markets, product, and distributor performance, the impact on the national and local economies resulting from terrorist actions, and U.S. actions subsequently; and other factors detailed in reports filed by the Company. Investorideas.com has expanded the options for participation to include three programs for entrepreneurs, start – ups, emerging business, venture capital, funds and accredited investors. Investorideas.com now offers three plans ranging from a 200 word ad, to an ad with logo and audio interview (Podcast) or entering into a success agreement upon approval. a leading investor news and research portal for the renewable energy sector within Investorideas.com, presents a sector close-up on solar stocks with commentary from solar expert J. Peter Lynch, Adam Krop, Vice President-Equity Research at Ardour Capital Investments and Robert Wilder, Manager of the WilderHill Clean Energy Index. increasing his price target to $335 from $280. in three primary solar energy sectors: Photovoltaics, Solar Thermal, and Solar Lighting was up $9.20 at the close. "Solar could make up 10% of U.S. generation by 2025 according to a recent utility solar assessment study by Clean Edge and Co-op America. This kind of projection evidences the growth potential of the Solar Industry to its participants, and we feel privileged to be a part of it," said Tom Djokovich, CEO of XsunX, Inc. (OTCBB: XSNX). First Solar, Inc. (Market, News) closed at $288.00 US, up $19.78 (7.37%) following Lehman’s upgrade. Akeena Solar Inc. (NASDAQ:AKNS) was down $0.02 on the day but up in after markets $ 0.12 (2.06%). Evergreen Solar Inc (Market, News) closed up 3.52%. LDK Solar ADR (Market, News) increased $1.80 (4.80%) with additional gains after hours. SunPower Corporation (Market, News ) had gains of $1.29 (1.59%). Yingli Green Energy (Market, News) was down $0.48 (2.46%) with after market gains of$0.15 (0.79%). Clear Skies Solar Inc. (OTCBB: CSKH) closed down $0.08. XsunX: (OTCBB: XSNX) closed down $0.01 (1.27%). ICP SOLAR (Market, News ) ended down$ 0.02 (3.23%). WorldWater & Solar Technologies (Market, News) traded volume of 925,958. Follow well- known financial columnist Michael Brush, who also writes the Insiders Corner for Investorideas.com, in a series of interviews with some of the leading CEOs, investment banking and financial leaders in the sector. Featured Showcase Solar Company: Clear Skies Solar, Inc. (OTCBB: CSKH). Clear Skies Solar, Inc. (CSS) through its wholly owned subsidiary provides full-service renewable energy solutions to commercial, industrial, and agricultural clients across the country. CSS was incorporated in 2003 and launched formal operations in 2005. During that time period, CSS developed its proprietary systems, obtained licenses and certifications, and acquired technologies that could maximize the impact of its construction expertise on the renewable energy sector. Leading the charge among the Clear Skies technologies is their patented XTRAXR, the first of its kind to handle the trading of carbon credits and its comprehensive billing procedures, designed and developed entirely by Clear Skies Group's in-house research and development department. XTRAXR will deliver reliable autonomous data readings for solar energy systems around the United States. Additionally, the XTRAXR system can also provide monitoring of energy production from wind, solar-thermal, geo-thermal, tidal and other types of facilities and installations that are fossil-fuel independent. or the company website at www.clearskiesgroup.com. POINT ROBERTS, WA and DELTA, BC -June 19 , 2008 www.RenewableEnergyStocks.com, a leading investor news and research portal for the renewable energy sector within Investorideas.com, presents featured showcase Mantra Venture Group Ltd. ( OTCBB: MVTG and FSE: 5MV), a public company that invests in and licenses a growing portfolio of green technologies. The company has licensed two key technologies developed at well respected University research departments. The current portfolio of green technologies includes ERC (explained below), and “signal smoothing” which increases power efficiencies derived from wind, ocean & geothermal power. Mantra is interested in many other sustainable technologies and is investigating or negotiating some of these. An example is cellulosic ethanol: ethanol produced from wood and agricultural wastes (described below). Mantra acquired the intellectual property for a process developed at the UBC Clean Energy Research Center (CERC) by Professor Colin Oloman (co-inventor with Dr. Hui Li) that converts carbon dioxide (CO2) into useful products. The process, ERC (electro-reduction of carbon dioxide), takes carbon dioxide and water, combined with electricity, to produce commodity chemicals which can also be used as fuel to power a specially designed fuel cell. Together, ERC and the fuel cell are a clean renewable source of power in which the CO2 can be continuously recycled. It functions like CCS (carbon capture and storage, or sequestration) by taking up human-generated CO2 and ensuring it does not add to the atmospheric overload; it therefore shares the CCS market which is projected at hundreds of billions of US dollars in time. The company recently announced new funding of $530,000 to fund the development of the ERC technology, the next stage is optimization. The work will be conducted at Mantra's new lab facility in Richmond, BC, and will focus on construction, testing, and optimization of an advanced prototype. Mantra has also acquired an exclusive option to a new technology, signal smoothing, developed at the University of Toronto to control electrical power developed from variable sources (e.g. wind farms, tidal, geothermal, etc.) It converts raw power into “grid standard”. Signal smoothing is a substantial improvement on the existing equipment and has a large potential market. Mantra, through its group of sustainable energy, carbon reduction and consumer product subsidiaries, is active in the green technology marketplace with an innovative, multi-faceted approach focused on profitability through sustainability. By aggressively seeking out new technologies and innovating solutions for a cleaner earth for everyone, Mantra intends to provide a highly profitable and environmentally responsible investment for its shareholders. Disclaimer: Our sites do not make recommendations, but offer information portals to research news, articles, stock lists and recent research. Nothing on our sites should be construed as an offer or solicitation to buy or sell products or securities. We attempt to research thoroughly, but we offer no guarantees as to the accuracy of information presented. All Information relating to featured companies is sourced from public documents and/ or the company and is not the opinion of our web sites. This site is currently compensated by featured companies, news submissions and online advertising. Disclosure: Mantra Venture is a featured showcase company (program#2) for $2000 month and 150,000 restricted shares over 12 months. SANTA CLARA, Calif.----To spur new development and demand for renewable energy sources, Intel Corporation is spinning off key assets of a start-up business effort inside Intel’s New Business Initiatives group to form an independent company called SpectraWatt Inc. Intel Capital, Intel’s global investment organization, is leading a $50 million investment round in SpectraWatt and is joined by Cogentrix Energy, LLC, a wholly owned subsidiary of The Goldman Sachs Group, Inc., PCG Clean Energy and Technology Fund (“CETF”) and Solon AG. The transaction is expected to close in the second quarter of 2008. SpectraWatt will manufacture and supply photovoltaic cells to solar module makers. In addition to focusing on advanced solar cell technologies, SpectraWatt will concentrate development efforts on improvements in current manufacturing processes and capabilities to reduce the cost of photovoltaic energy generation. SpectraWatt expects to break ground on its manufacturing and advanced technology development facility in Oregon in the second half of 2008 with first product shipments expected by mid-2009. Solar cells are the discrete components in a solar energy generation system responsible for converting sunlight to electricity. The end-user market segment for solar technology in 2007 was approximately $30 billion, a 50 percent increase from 2006, according to Photon Consulting. Solar industry growth of 30 to 40 percent annually is expected to continue in years to come as the economics of solar, which is currently approximately twice the cost of delivered retail electricity on a per kilowatt basis, begins to approach that of traditional electricity-generation technologies. Intel has a long history of commitment to the environment and has applied technology innovation to drive energy-efficiencies within its own products and operations. The development of a small solar business within Intel is consistent with the philosophy to protect the environment as well as seek new business opportunities. Intel is on track to reduce its total worldwide greenhouse gas emissions by 30 percent from 2004 levels through 2010, and also recently introduced lead- and halogen-free microprocessors. Additionally, Intel currently tops the Environmental Protection Agency’s Green Power list as the largest purchaser of renewable energy credits. Cogentrix Energy, LLC, a wholly owned subsidiary of The Goldman Sachs Group, Inc., is a leading owner and operator of independent power and cogeneration assets in North America. Cogentrix is a primary Goldman Sachs platform for the development and operation of both conventional and renewable power generation in North America and selected international markets. 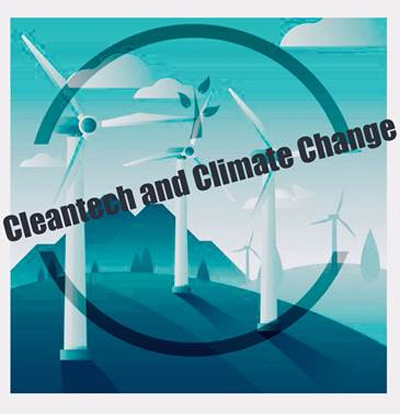 The PCG Clean Energy and Technology Fund is a co-mingled fund of funds and co-investment vehicle dedicated to investing across the spectrum of the global clean energy and technology value chain. The fund is managed by a dedicated cleantech investment team within PCG Asset Management, which oversees more than $15 billion of private equity commitments through a combination of fund-of-funds, separate accounts and advisory relationships and is based in La Jolla, Calif.
SOLON AG für Solartechnik is one of the largest solar module manufacturers in Europe and a leading supplier of photovoltaic systems for large-scale solar power plants. The SOLON Group has subsidiaries in Germany, Austria, Italy, Switzerland, and the United States, and employs more than 700 people worldwide. The SOLON Group's core business is the manufacture of solar modules in various performance categories and of complete photovoltaic systems for the construction of solar power plants. DUBAI, UNITED ARAB EMIRATES and SANTA ROSA, CA, Jun 17, 2008 - Mr. Eqbal Al Yousuf has purchased a 50 percent interest of the Recharge-It-All Battery line of battery systems for mobile electronics from alternative transportation pioneer ZAP (OTCBB: ZAAP) for US$1 Million ($1,000,000). Mr. Al Yousuf made the $1 million purchase personally following his announcement last week of his intentions. Eqbal Al Yousuf is the President of The Al Yousuf Group and was recently appointed Chairman of ZAP's Board of Directors. According to officials from ZAP and Al Yousuf, samples of ZAP's Recharge-It-All technology have been shipped to Dubai for testing. ZAP's Recharge-It-All is a new rechargeable battery system for mobile electronics that can power or recharge low voltage handheld devices from mobile phones, to smart phones, digital audio players, cameras, PDAs, laptops and more. To order, visit http://www.zapworld.com. RX4-C AA Universal Battery Charger from ZAP can power a variety of low-voltage consumer electronics through a built-in USB adapter, but you can also remove the four rechargeable AA batteries for use in other electronics. Learn more at http://www.zapworld.com. ZAP is a featured Company on Investorideas.com Green portals, China portal , Middle East and Tech portal. "PV Technologies Generate Far Less Life-Cycle Air Emissions Than Conventional Fossil-Fuel-Based Electricity Generation Technologies"
POINT ROBERTS, WA and DELTA, BC---Jun 12, 2008 -- www.RenewableEnergyStocks.com, a leading investor news and research portal for the renewable energy sector within Investorideas.com, presents a sector close-up on solar stocks and their environmental impact.With the controversy faced over Ethanol stocks, investors can gain insight into their green portfolio of solar stocks. RenewableEnergyStocks.com reports on environmental concerns associated with solar technology and how the industry is responding, featuring XsunX, Inc. (OTC BB:XSNX.OB - News) and First Solar. The US Department of Energy reports, "Modern solar electric power-generation systems such as photovoltaics (or PV) are some of the most elegant and environmentally benign energy systems ever invented." Quoting a report published in January 2008, 'Emissions from Photovoltaic Life Cycles,' "Photovoltaic (PV) technologies have shown remarkable progress recently in terms of annual production capacity and life-cycle environmental performances, which necessitate timely updates of environmental indicators." The report further states, "Overall, all PV technologies generate far less life-cycle air emissions per GWh than conventional fossil-fuel-based electricity generation technologies. At least 89% of air emissions associated with electricity generation could be prevented if electricity from photovoltaics displaces electricity from the grid." Keeping tabs on life-cycle emissions of carbon, chemicals and heavy metals used in products is nothing new, but the trend now appears to be accelerating which may force some "Green" technologies such as solar PV to revisit their environmental impact and overall carbon and environmental footprint. Tom Djokovich, CEO, of XsunX, Inc. (OTC BB:XSNX.OB - News), a solar technology company engaged in the build-out of its multi-megawatt amorphous silicon thin film photovoltaic (TFPV) solar module manufacturing facilities, reports, "There's a growing interest within the sustainable energy industry in developing green credentials across the entire footprint of your brand. Here at XsunX we're working to balance our industrial manufacturing needs and product designs to minimize our impact on the environment we're working to improve." He continued, "With XsunX, about half of the power our new 25 mega watt solar module manufacturing plant will use comes from renewable energy in the Pacific Northwest, we are recycling an existing building and numerous pieces of support equipment so as not to waste resources and the design of our thin film amorphous solar module does not transfer any toxic materials into the product or environment unlike the heavy metal concerns addressing some of the other module manufacturers in the industry." As evidence of the growth in accessing long term environmental impact between various solar technologies the January 2008, 'Emissions from Photovoltaic Life Cycles,' report presents a comparative analysis between four PV technologies, "Based on PV production data of 2004-2006, this study presents the life-cycle greenhouse gas emissions, criteria pollutant emissions, and heavy metal emissions from four types of major commercial PV systems: multicrystalline silicon, monocrystalline silicon, ribbon silicon, and thin-film cadmium telluride. Life-cycle emissions were determined by employing average electricity mixtures in Europe and the United States during the materials and module production for each PV system. Among the current vintage of PV technologies, thin-film cadmium telluride (CdTe) PV emits the least amount of harmful air emissions as it requires the least amount of energy during the module production. However, the differences in the emissions between different PV technologies are very small in comparison to the emissions from conventional energy technologies that PV could displace." Companies that make cadmium-telluride solar cells include Q-Cells and First Solar. According to First Solar's website, "First Solar's advanced CdTe technology is instrumental in accomplishing our environmental mission. CdTe is uniquely capable of producing low cost solar modules, making widespread, cost-effective solar electricity a reality. Its physical properties are optimal for converting sunlight into electricity, resulting in highly efficient photovoltaics with thin (< 3 micron) semiconductor layers. CdTe is a robust material with the demonstrated capacity for high volume, low cost production." Policies related to the introduction of heavy metals and other hazardous chemicals into the environment differ from region to region with the European Union adopting some of the most stringent guidelines. The Restriction of Hazardous Substances Directive (RoHS) effective in July 2006, in the European Union has attracted concern about its impact on some of the companies in the sector. The restriction mandates a maximum content of 0.1wt % lead (Pb) and 0.01 wt % cadmium (Cd) is allowed in homogeneous materials. The restrictions currently exempt the solar industry but there is a push for the reduction or substitution of the heavy-metal content in the Photovoltaic market in the EU to maintain its green image. Investors following solar stocks can research the sector using the Renewableenergystocks.com stock directory and also read recent and past columns by on-site solar expert, J. Peter Lynch. Disclaimer: Our sites do not make recommendations. Nothing on our sites should be construed as an offer or solicitation to buy or sell products or securities. We attempt to research thoroughly, but we offer no guarantees as to the accuracy of information presented. All Information relating to featured companies is sourced from public documents and/ or the company and is not the opinion of our web sites. For disclosure purposes, the site is currently compensated by featured showcase companies, news submissions and online advertising. XsunX solar showcase company compensates the website $5000 per month http://www.investorideas.com/About/Disclaimer.asp. DUBAI, UNITED ARAB EMIRATES and SANTA ROSA, CA - Jun 12, 2008 -- Mr. Eqbal Al Yousuf will acquire a 50 percent interest in the Recharge-It-All Battery line of battery systems for mobile electronics from alternative transportation pioneer ZAP (OTCBB: ZAAP). Mr. Al Yousuf was recently appointed Chairman of ZAP's Board of Directors and attended his first board meeting as Chairman on June 2 at ZAP's Santa Rosa headquarters. Mr. Al Yousuf is the President of The Al Yousuf Group, but intends to make his commitment towards ZAP Recharge-It-All his own personal investment. "With my role as Chairman, I want to assist ZAP with the same success I have assisted with the Al Yousuf Group in streamlining and focusing the company on its core business," said Eqbal Al Yousuf. "We will start working globally to establish markets for ZAP's Recharge-It-All, which will allow ZAP to focus on advanced technology vehicles." ZAP's many years working on better electric car batteries was the basis for the introduction of the Recharge-It-All line of mobile re-chargers. The battery systems were designed to power and recharge a wide range of mobile electronics. More than just a battery, the systems are designed with a smart sensor that allows them to deliver the appropriate voltage to a wide range of products, from cell phones, to digital audio players, digital cameras, video cameras and laptops. The batteries help solve the growing battery dilemma for mobile electronics, offering a rechargeable source of power out in the field or a way of extending the battery life for many different electronic devices. "As a traveler I really believe in these batteries," said Al Yousuf. "They are essential to anyone using portable electronic devices. The market for this new technology is wide open and this particular division deserves more focus in order to achieve its potential in the marketplace." The Al Yousuf Group is one of the largest trading groups in The Middle East. Over the past 55 years, the Al Yousuf Group has grown into a leading business conglomerate in the Gulf Region with operations ranging from Motor Vehicles, Boat Manufacturing, Auto Rental, Real Estate Development, Home Electrical Appliances, Computer Operating Systems, Electronics, Transportation and more. ZAP is a featured Company on Investorideas.com Green portals, China portal and Tech portal. SNOWFLAKE, Ariz., June 10, 2008 - Arizona's largest renewable energy facility to date -- a wood-fired biomass energy plant located near Snowflake, Ariz. -- today began providing commercial electricity to Arizona Public Service (APS) and Salt River Project (SRP) customers. Owned and operated by Renegy Holdings, Inc. (NasdaqCM:RNGY - News), the 24-megawatt (MW) plant will provide renewable energy to more than 9,000 Arizona homes. The Snowflake White Mountain Biomass Power Plant is generating electricity through a wood-burning boiler using forest thinning (wood-waste material from the area's forest industries) and waste recycled paper fibers from an existing newsprint paper mill located adjacent to the biomass facility. ``This project not only increases the renewable energy that SRP is able to supply to our customers, but it also responds to the state's Healthy Forest Initiative,'' said Richard Hayslip, SRP's Associate General Manager. Each utility has signed separate long-term purchase power agreements with Renegy to secure the entire electrical output of the plant. At least 75 percent of the Snowflake plant's production will be generated by forest-thinning efforts occurring on U.S. forest lands surrounding the communities of Arizona's White Mountains. The thinning efforts are in support of the Healthy Forest Initiative, a 2003 federal law enacted following the Rodeo-Chediski fire. The law was designed to help protect forest lands against catastrophic fires by focusing on responsible clearing of dense undergrowth and brush in critical areas adjacent to private homes and property. The remaining 25 percent of the plant's energy output will be generated from unusable, recycled paper fibers discarded by the Catalyst Paper Corp. mill. The mill produces 250 bone-dry tons of unusable paper fiber each day. Prior to being consumed by the Snowflake biomass plant for the production of electricity, the mill's waste material was stored in a nearby landfill. Already, every APS customer receives a portion of their energy from renewable sources, including wind, concentrating solar power, photovoltaic solar power and geothermal. APS also offers a Green Choice program, which gives customers the opportunity to purchase additional renewable energy for only 1 cent per kilowatt hour. More information on APS' renewable programs, including Green Choice, is available at http://www.aps.com. The commencement of commercial operation at the Snowflake plant marks SRP's entry into the biomass power generation market and will be the newest addition to SRP's EarthWise Energy Program, which consists of 529 megawatts of renewable energy. SRP's EarthWise Energy Program is electricity generated from clean energy sources such as solar, landfill gas, hydro (including low-impact hydro), wind, geothermal and now biomass. SRP customers can participate in SRP's EarthWise Energy Program by paying a small premium on their monthly electric bill to support the continued development of clean energy for future generations. For more information, visit http://www.srpnet.com/earthwise. Phoenix-based Salt River Project is the largest provider of power and water to the greater Phoenix metropolitan area with more than 925,000 electricity customers. APS, Arizona's largest and longest-serving electricity utility, serves about 1.1 million customers in 11 of the state's 15 counties. With headquarters in Phoenix, APS is the largest subsidiary of Pinnacle West Capital Corporation (NYSE:PNW - News). Renegy, based in Tempe, Arizona, is a renewable energy company focused on acquiring, developing and operating a growing portfolio of biomass power generation facilities. Renegy's other business activities include an established fuel aggregation and wood products division, which collects and transports forest thinnings and woody waste biomass fuel to its power plants, and which sells logs, lumber, shaved wood products and other high value wood by-products to provide additional value to its primary business operations. Find Renegy on the Worldwide Web at http://www.renegy.com. PALO ALTO, Calif.---Biofuels enjoy many inherent advantages such as regulatory, infrastructural, environmental, geopolitical, and agricultural support. However, their negative association with escalating food prices remains a major concern. To overcome this challenge, the North American market has adopted strategies such as improving yield, tie-ups with the developing world, and focus on alternative feedstock. Moreover, given the high feedstock prices for first-generation biofuels, next-generation biofuels have garnered increased attention and will likely be commercialized after 2012. New analysis from Frost & Sullivan (http://www.financialservices.frost.com), North American Biofuels Market: Investment Analysis, reveals that the market earned revenues of $9.98 billion in 2007 and expects this to reach $18.52 billion in 2012. If you are interested in a virtual brochure, which provides manufacturers, end users, and other industry participants with an overview of the investment analysis and growth opportunities in the North American Biofuels Market, then send an e-mail to Johanna Haynes, Corporate Communications, at johanna.haynes@frost.com, with your full name, company name, title, telephone number, company e-mail address, company website, city, state, and country. Upon receipt of the above information, an overview will be sent to you by e-mail. The expanded Renewable Fuel Standard, Volumetric 'Blender' Tax Credit, Small Agri-biodiesel Producer Tax Credit, and Alternative Fuel Refueling Infrastructure Tax Credit provide the necessary regulatory support for the North American biofuels industry. Currently, the dependence on foreign oil continues to increase, and costs approximately $1 billion per day. Oil from Venezuela and the Persian Gulf accounted for 26.3 percent of the total imports in 2007. By 2012, biofuels are expected to account for 15.20 billion gallons of the total fuel source in the United States, up from the estimated 9.00 billion gallons in 2008. However, the debate on food versus fuel remains a major challenge for the biofuel industry. Many respected organizations and media outlets believe that the focus on biofuels increases food prices, especially that of corn and soybean. The volatility of feedstock prices and their unpredictable profit margins has diminished the attractiveness for the market participants and the institutional investors for the first-generation biofuels. In the short term, only a significant improvement in the average yield of feedstock, such as corn and soybean oils, will mitigate this problem. While alternative feedstock such as jatropha is expected to help in the medium term, the next-generation biofuels will play a vital role in addressing the challenge by 2012-2013. North American Biofuels Market: Investment Analysis is part of the Financial Benchmarking in the Chemical Industry program, which also includes research services in the following markets: Europe and U.S. Food Additives and Ingredients Market: Investment Opportunities, North American Paints and Coatings Market: Investment Opportunities, North American Electronic Chemicals and Materials Market: Investment Opportunities, Asia Pacific Paints and Coatings: Investment Opportunities, Asia Pacific Electronic Chemicals and Materials: Investment Opportunities, European Biofuels Market: Investment Opportunities, World Orthopedics Market: Investment Opportunities, and North American Electronic Access Control Market: Investment Opportunities. All research services included in subscriptions provide detailed market opportunities and industry trends that have been evaluated following extensive interviews with market participants. Interviews with the press are available. Frost & Sullivan's Business and Financial Services group serves clients around the world in all aspects of financial analysis, market research and monitoring, due diligence, idea generation, opportunity analysis, investment valuation, and other proprietary research. Frost & Sullivan, the Growth Partnership Company, partners with clients to accelerate their growth. The company's TEAM Research, Growth Consulting and Growth Team Membership empower clients to create a growth-focused culture that generates, evaluates and implements effective growth strategies. Frost & Sullivan employs over 45 years of experience in partnering with Global 1000 companies, emerging businesses and the investment community from more than 30 offices on six continents. For more information about Frost & Sullivan’s Growth Partnerships, visit http://www.frost.com. WALL, N.J.----The OPIS monthly Transportation Fuel Index (TFI), http://www.opisnet.com/tfi.asp, shows that Americans spent more than $41.5 billion on motor gasoline in May 2008. That is an increase of almost $4.1 billion from the previous month and nearly 7.1 billion more than what was spent in May 2007. Five years ago in May 2003 motorists spent just $15.6 billion, a staggering $25.9 billion less than what consumers are currently paying. Crude was the force that continued to push prices higher. The benchmark WTI started the month at $112 per bbl and reached a high of $132 per bbl just prior to Memorial Day. Retail gasoline prices climbed to $3.96 per gal on May 30th, a 9.5% increase over where it closed on April 30th. It was 24.7% higher than the same time last year and a whopping 170% more than what consumers paid just 5 years ago. Diesel prices continued their upward trajectory on strong global demand. Truckers were paying $4.78 per gal at the end of May a 12.6% increase from the end of April. Last year truckstops around the country had average pump prices of $2.91 per gal and over the past 5 years truckers saw an increase of 216% in the cost to fuel their rigs. Wholesale jet fuel prices averaged $3.77 per gal in May an increase of more than 37.3 cts per gal over last month and $1.70 per gal over last year. Jet fuel prices increased 418% over the past 5 years. OPIS tracks real-time retail gasoline and diesel prices at more than 110,000 locations around the country. OPIS is the leading provider of dynamic fuel price information to navigation and onboard device companies. No other source offers more timely petroleum information than OPIS. For more information on the OPIS TFI or real-time fuel prices contact Fred Rozell, Director of Retail Pricing, 732-730-2568. OPIS (http://www.opisnet.com), a UCG company based in Gaithersburg, MD., is the most widely accepted U.S. fuel price benchmark for supply contracts and competitive positioning. OPIS covers pricing, analysis and news for gasoline, diesel, ethanol, biodiesel, LP-gas, jet fuel, crude, propane, feedstocks, resid, and kerosene. a leading investor news and research portal for the renewable energy sector within Investorideas.com, presents a sector close-up on renewable energy stocks and some of the Indices tracking the sector. "We are extremely pleased to have XsunX selected to be listed on the Ludlow Energy Ventures renewable energy index, which as a reputable index, attracts long term investors with a buoyant viewpoint on alternative energy", said Tom Djokovich, CEO of XsunX, Inc. The Ludlow Small Cap Energy Index is a basket of small cap alternative energy stocks. Clear Skies Solar, Inc. (OTCBB: CSKH), a leading provider of renewable energy solutions, recently announced it was added to the Ludlow Energy Small-Cap Index. “It’s truly an honor to have Clear Skies Solar added to the much-respected Ludlow Energy Ventures renewable energy index,” said Ezra Green, Chairman and CEO of Clear Skies Solar. Dr. Robert Wilder, of the WilderHill Clean Energy Index (^ECO) reports, "I'm delighted our WilderHill Clean Energy Index (^ECO) was first to capture this new theme, and its tracking PowerShares ETF (symbol: PBW) too was an original investment product in this space. Having a lead of a few years also let us help define what investing in clean energy should look like, and in that time we've seen more than a billion dollars have come into that independent tracking fund, PBW. On the other hand I am also gratified to see so many new Indexes and trackers move into this space lately; a few are pretty close replicas to ECO, while others add interesting new dynamics such as an ability to invest in solar alone. In the meantime since 2004 we've also produced the first Index capturing opportunities found in a response to climate change and for improving dominant energy sources: its tracker is the PowerShares WilderHill Progressive Energy Portfolio (PUW). And most recently partnering with New Energy Finance in London, and Josh Landess in the U.S., we together co-produced the first Global Index for stocks around the world in the clean & new energy space: a tracker for this is the PowerShares Global Clean Energy Portfolio (PBD) and all three now capture key stocks worldwide. I'm excited by the progress made here as well as encouraged by the fact so many new Indexes have since entered this space, which I think reflects this is no longer seen as a niche or unimportant arena. Today, some of the world's biggest corporations are taking clean, new and progressive energy technologies all very seriously, and I believe 'alternative energy' may soon simply become just energy." For investors following solar stocks in particular, The Claymore ETF (TAN) tracks the MAC Global Solar Energy Index, and the Market Vectors ETF (KWT) tracks the Ardour Solar Energy Index. For investors tracking the global market, The RENIXX® (Renewable Energy Industrial Index) World is the first global stock index, which comprises the performance of the world’s 30 largest companies of the renewable energy industry whose weighting in the index is based on the market capitalization. The www.RenewableEnergyStocks.com home page features a comprehensive directory of Indices and ETF’s for investors to research. Disclaimer: Our sites do not make recommendations. Nothing on our sites should be construed as an offer or solicitation to buy or sell products or securities. We attempt to research thoroughly, but we offer no guarantees as to the accuracy of information presented. All Information relating to featured companies is sourced from public documents and/ or the company and is not the opinion of our web sites. Disclosure: Investorideas is compensated by featured companies, news submissions and online advertising. XsunX and Clear Skies Holdings compensate the website $5000 per month. In addition, Investorideas.com has been granted options in CSKH at $1.50. ROSEVILLE, Calif. Solar Power, Inc. (“SPI”) (OTCBB: SOPW) has entered into an agreement to provide a large Korean distributor/installer with 5 megawatts of the Company’s SP200 solar modules. The modules will be used as part of a 10 MW solar park currently under development North East of Seoul, Korea and will be delivered in a series of shipments beginning in June and concluding in August, 2008. SPI has received a letter of credit underlying the financial terms of this transaction and has commenced processing the first scheduled shipment. Solar Power, Inc. designs and manufactures its own line of photovoltaic modules and racking systems. Additionally, in the United States, SPI designs and installs commercial systems and serves the U.S. residential market through its growing Yes! Solar Solutions franchise network. “As we continue to grow our business, working with a select group of companies, like our Korean partner, will allow us to further ramp factory output,” said Steve Kircher, CEO of Solar Power, Inc. “Working directly with distribution and integration companies across Asia and Europe is a complement to our U.S. business plan and a key part of our long-term business growth strategy,” Mr. Kircher further commented. Founded in 2005, Solar Power, Inc. is a vertically integrated solar energy solution provider offering the North American residential, commercial and public sector building markets a complete solution through a single brand. Solar Power, Inc. provides turnkey design-build solutions through its Roseville, California headquarters and a growing retail distribution network. This release contains certain “forward-looking statements” relating to the business of Solar Power, Inc., its subsidiaries and the solar industry, which can be identified by the use of forward looking terminology such as “believes, expects” or similar expressions. The forward looking statements contained in this press release include statements regarding the Company’s ability to execute its growth plan and meet revenue and sales estimates, enter into formal long-term supply agreements, and market acceptance of products and services. These statements involve known and unknown risks and uncertainties, including, but are not limited to, general business conditions, managing growth, and political and other business risk. All forward-looking statements are expressly qualified in their entirety by this Cautionary Statement and the risks and other factors detailed in the Company's reports filed with the Securities and Exchange Commission. The Company undertakes no obligation to publicly update or revise any forward-looking statements, whether as a result of new information, future events or otherwise, except as may be required under applicable securities law. ZAP: Former President of Pirelli Tire North America Asks Corporate America to "Walk the Talk"
ROME, GA., Jun 5, 2008 - Guy Mannino, former president and CEO of Pirelli Tire North America (PTNA), at least agrees with the current presidential candidates on one thing... it's time for a change. In his own words, Mannino is "calling on all retired and current CEOs of corporate America to join with me and just stop talking 'green' and start driving 'green'!" "Now is the time for corporate America, as well as Federal, State and local governments, to take action and proclaim our independence from oil and gas," he continues. "Now is the time for electric vehicles that lower fuel costs, as well as combat pollution and global warming." Strange for a man who has spent the better part of the past 25 years driving high-performance cars on road and track. Mannino, a veteran executive with 28 years of international sales, marketing and manufacturing experience, has a degree in Chemical Engineering from the University of Rome and a Masters in e-Business. Mannino's career with Pirelli spanned three continents (Europe, South America and North America) where he managed multi-million-dollar investment projects, including site definitions for manufacturing, warehousing and distribution centers. His tenure at PTNA was highlighted by skyrocketing sales and a strong brand image. In addition, Mannino developed outstanding relationships with state and local governments. Mannino's commitment to "clean and green technology" is so strong that he left Pirelli last fall to found Verdek, a consulting and trading company with corporate headquarters in Rome and offices in Connecticut and Rome, Italy. Verdek-EV, the e-commerce division, was created to market and sell a line of ZAP electric vehicles and portable energy devices to help businesses and consumers become more efficient. "We need to stop blaming the oil companies and start taking action ourselves," commented Mannino. "If every corporate fleet in America would make the decision to convert 20% of their fleets to electric, the impact would be significant and immediate." Based in Santa Rosa, Calif., ZAP (OTCBB: ZAAP) stands for 'Zero Air Pollution' and offers a full line of Xebra electric cars and trucks, Zapino scooters and off-road vehicles, as well as charging accessories. "We fully agreed that the time is now to make the switch from gas to electric," said ZAP CEO Steven Schneider. "This is the easiest way to start saving money on gas and, at the same time, helping the environment." "I have done the research and am convinced that the technology is here; the price point is right," states Mannino. "ZAP Xebras and the Zapino are truly cost-competitive alternatives that can meet a myriad of fleet and corporate applications today." For more information about Verdek and Verdek-EV, please visit the tri-lingual (English, Spanish and Italian) web sites at www.Verdek.com and www.Verdek-EV.com. Photographs of Mannino and ZAP vehicles are available at http://www.zapworld.com. SANTA ROSA, Calif., Environmental engine technology firm Rotoblock Inc. (OTCBB: ROTB) announces the appointment of Richard H. DiStefano as Chief Operating Officer. The recent addition is integral to the company’s business plan and its US-China expansion. Mr. DiStefano is a business strategist with 13 years experience managing multiple product lines in both the corporate and entrepreneurial environments. He has broad-based experience with companies like IAC, match.com, Premier Wireless, and Hansen Beverage Company involved in management, planning, business development, product development and marketing. According to Rotoblock CEO Mr. Chien Chih Liu, “The addition of Mr. DiStefano as COO will help with the Company's recently planned expansion." In May Rotoblock agreed to acquire controlling interest in Hikom Gottell Corporation for US $25 Million. The US-China venture intends to develop and manufacture small engines, air-conditioning systems and other consumer and industrial equipment. "Mr. DiStefano has a balanced background with a proven track record in business development," said Mr. Liu. "I believe he will be an excellent addition to Rotoblock, bringing new ideas that will be of strategic importance to future growth." In February DiStefano was promoted to Senior Director for IAC (InterActive Corp.). Prior to this, he spent the past three years as Director of Mobile Products for match.com, which was acquired by IAC in 1999. DiStefano was instrumental in developing and launching SMS alerts, an integrated WAP site and Brew downloadable client applications with AT&T, Sprint, Virgin, Alltel and Telefonica in Spain. He led the global on-deck expansion into the UK and Spain with Vodafone and Orange. He also created and launched an off-deck model for match and MSN dating and personals in the US and 14 additional countries. "Rotoblock is in a very dynamic situation internationally with its business focus of energy efficiency and advanced technology," said DiStefano. "I think the opportunity and timing is critical with all of the changes taking place throughout the world, and in particular China." Mr. DiStefano is also an entrepreneur, founding San Francisco-based Premier Wireless in 2003, which now operates 12 outlets that have formed dealer relationships with Sprint, Verizon, Cingular, T-Mobile and Metro PCS. In 1994, he was the founder of Video City in Davis, California which he turned to profitability in its first year and led the sale to new ownership 10 years later. Mr. DiStefano has a diverse business background. From 1998 to 2001, he was Regional Manager for Hansen Beverage Company, involved in marketing and distribution and helping to launch the energy drink segment in the US. From 2001 to 2004, he served as Vice President, Products for Intercontinental Nail Products. Mr. DiStefano has a Law Degree from Lincoln Law School in Sacramento, California and studied Communications and Rhetoric at the University of California, Davis. About Rotoblock Corporation -- Rotoblock is focused on the development and manufacturing of small engines and other energy-efficient and environmental equipment in China for distribution worldwide. The Company was incorporated in Nevada and is headquartered in Santa Rosa, California. Rotoblock has full rights to the patents of the Oscillating Piston Engine and believes the OPE technology has useful applications in an endless number of areas where its powerful, lightweight, efficient design are in ever-increasing demand. Visit Rotoblock's corporate website for details about the company, technology, and regulatory filings. The address is: http://www.rotoblock.com. Except for statements of historical fact, the information presented herein constitutes forward-looking statements within the meaning of the Private Securities Litigation Reform Act of 1995. Such forward-looking statements involve known and unknown risks, uncertainties and other factors which may cause the actual results, performance or achievements of the company to be materially different from any future results, performance or achievements expressed or implied by such forward-looking statements. Such factors include general economic and business conditions, the ability to acquire and develop specific projects, the ability to fund operations and changes in consumer and business consumption habits and other factors over which Rotoblock Corporation has little or no control.